Lady Sandite pitcher Kennedy “Goose” Salyers stepped up to the mound. It was two o’clock on a Wednesday, and the Southeastern Oklahoma State University-committed senior had just pitched a 6-0 shutout against Claremore in round three of the Regional championship. With only thirty minutes between games, the Charles Page High School varsity fast pitch softball team was tired, and they were only a third of the way through a triple-header uphill battle. The Union Redskins were far and above the better team over Claremore, and this would not be an easy game. 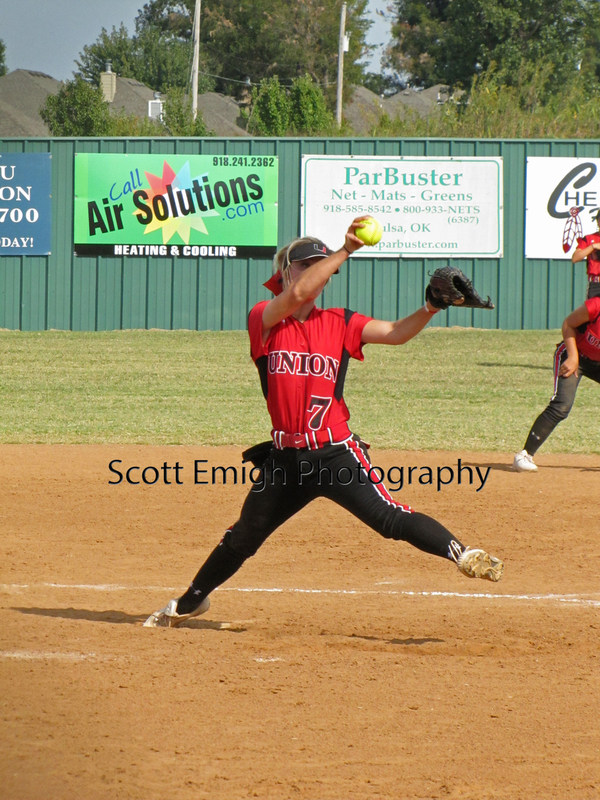 Especially since Union had already beaten Sand Springs 5-2 in the second game of the season. Sammi Ibison was the first batter up. With a full count, she connected for a fly ball into left field and was caught out by Caley Thompson. 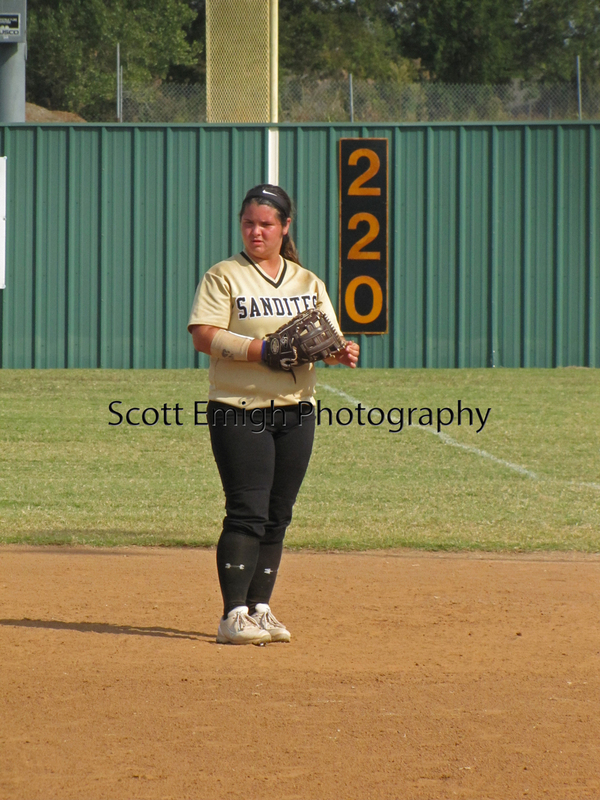 Next were Erika Reed and Sammi Dutton, both put out on infield flies by second-baseman Kimi Presnell, and just like that the Sandites were off to a good start. Now it was Salyers turn at bat, and Paige Boyle was pitching for the Lady Redskins. The first day of Regionals was marred by errors as the Sandites lost 2-1 to Claremore and barely scrapped by Ponca City 4-3, whom they had scored 21-0 against over two games earlier in the season. The 6-0 shutout in game one of day two was a step in the right direction, but if the Sandites were going to stand a chance against Union, they would need to come out hard and fast to make a statement early on in the game. Salyers connected on an infield hit for a single and the home team was the first on base. Cameron Clemons replaced Salyers as a curtesy-runner, and Stella Millican bunted for a single-by-error thanks to Boyle. Sydney Pennington swung hard for a fly ball to left field. Dutton scooped it up and sent it to third to force out Clemons, but third-baseman Clara Bewaley tried for a double play to out Pennington at first and instead threw the ball clear over Britton Clark’s head, resulting in a double-by-error for Pennington. Up to the plate walked Jessica Schuler, a Northeastern State University-commit, first-baseman, and frequent home-runner. She never crossed home plate on her own this game, but she did connect for a sacrifice fly to centerfield that scored Millican and drew first blood. The second inning played much like the first. No Redskins landed base hits, and Brylee Dickensen was struck out. Jessica Collins was first at bat for Sand Springs and found second base on an error by Lexi Dobson. Caley Thompson bunted for a single, and Rachel Blair brought Collins home on a bunt single due to an error by Bewaley. Both teams had guns blazing, but the Sandites were shooting holes in the Redskins’ defense, and the Redskins were shooting themselves in the foot. Finally, Union pulled their defense together. Over the next two innings, Boyle allowed only base hit, and struck out three Sandites. Salyers was right there with her, though, allowing only two base hits, no runs, and two strikeouts. By inning five, the Sandites were tired of being sent to the dugout. Pennington hit a groundball into left field for a single, and Schuler drew a walk. Then, Kali Mallory, the catcher, entered the game and brought Pennington home with an RBI single and a 3-0 lead. The Redskins had gotten their act together and stopped allowing errors, but the Sandites were equally disciplined, and the mistakes Union had made in the beginning were too costly to overcome. Ibison, Reed, and Dutton all came out swinging, but each was put out before reaching base in the sixth. Boyle registered her fourth and final strikeout of the evening, and didn’t allow another base hit for the duration of the game, but neither did Salyers, who struck out the final two batters of the game and brought in the win. Both pitchers had excellent records, but Salyers stole the show, throwing 55.2% strikes, allowing only three hits, for a .428 WHIP and 0.00 ERA. Boyle’s record was outstanding as well, but there was no stopping Sand Springs. She threw 45.7% strikes for a 1.66 WHIP and 2.33 ERA. Sand Springs had a solid .375 batting average, with Pennington leading the pack with a perfect 1.00 with three hits on three at bats for four bases, a 1.333 slugging average, and one run. Union was held to a meager .125, with Tonie Weese leading with one base hit on one at bat for a single. Britton Clark hit a double and Sammi Dutton hit a single for a team total of only three base hits and zero walks. 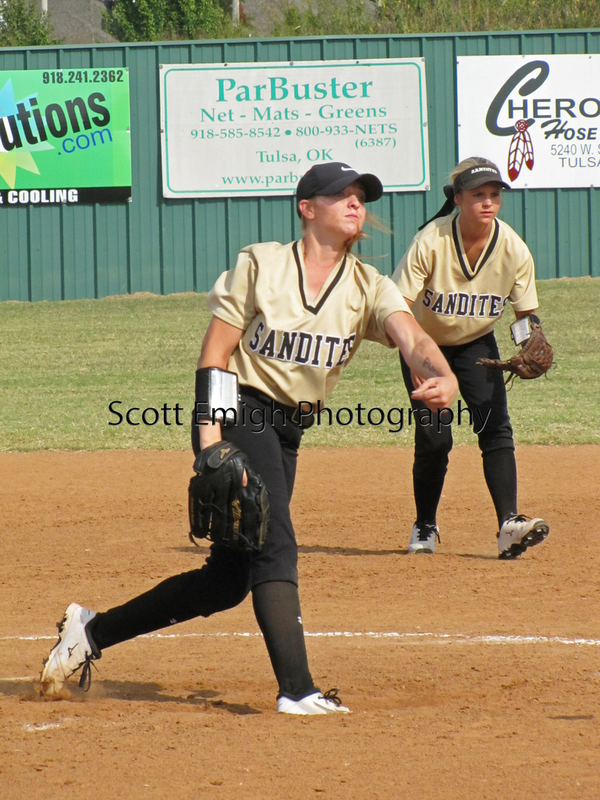 Defensively, Kali Mallory led the Sandites with six putouts. Lexi Dobson led Union with five putouts in right field. Ultimately the game boiled down to errors, as Union committed four and the Sandites were flawless. It was an incredibly impressive game, but Sand Springs was now twice as tired as Union, having played two games back-to-back with one more game to go. The next game would start in only thirty minutes. To purchase any of these photos without the watermark, please email Scottemigh2013@gmail.com. Digital copies are available for only $5 apiece.